Q. How do I borrow an eBook? 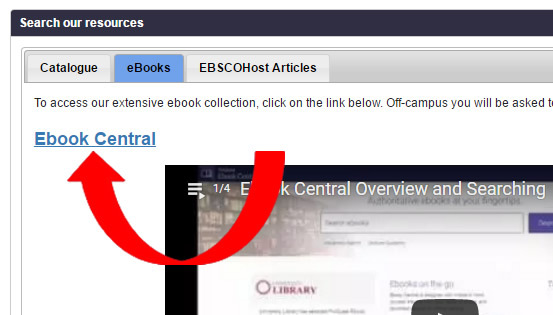 Use the eBooks tab in our Search Our Resources box to find what you’re looking for. Off-camus you will be prompted to login using your student ID and password. If the eBook title has a green starburst: it is available. Browse chapter headings and contents for up to 5 minutes before borrowing. After 5 minutes you will be prompted to create a loan at no cost to you. Once you create a loan you will have full text access for the length of the loan. You will be able to print and copy. You can choose to read online if you have a PC or download to your iPad, iPhone or Android device, but you will need to download the free Bluefire Reader app for all mobile devices. For offline PC or laptop access you will need to download and install Adobe Digital Editions. Otherwise, if you have internet access, we recommend you Read Online.